Jean-Xavier de Lestrade also explained why "The Staircase" was never about proving Michael Peterson's innocence. Before “The Jinx,” “Making a Murderer,” or “Serial,” there was “The Staircase.” Originally released in 2004, the true crime documentary followed Michael Peterson, a wealthy author and former journalist accused of murdering his wife, Kathleen, in their Raleigh, N.C., mansion. But what might have appeared to be a cut and dry case soon blossomed into something more complicated, as secrets began to trickle out during the trial. “The Staircase” was full of multiple, incredulous twists — including the staircase-related death of Peterson’s adopted daughters’ mother many years prior — which proved once again that sometimes the truth really is stranger than fiction. Peterson was found guilty in 2003 of his wife’s murder, and he spent eight years in prison before another incredible twist came, which led to a follow-up documentary, “The Staircase II: The Last Chance,” in 2013. The prosecution’s blood spatter expert was found to have committed perjury, and Peterson successfully appealed for a new trial as a result. At the conclusion of the second series, Peterson was released on bail and was on house arrest while awaiting a new trial. And that’s where Peterson’s story seemed to end, until now. After 17 years, director Jean-Xavier de Lestrade returns once again to North Carolina for the final chapter in Michael Peterson’s saga. At the beginning of Episode 12, Peterson is denied his request to have the charges against him dismissed, and he and his family must now grapple with a tough decision, to take on a new trial, which is both mentally and physically exhausting, or to accept an Alford plea. The Alford plea, which also popped up in the West Memphis Three case followed by the “Paradise Lost” documentaries, allows a defendant to assert their innocence, while also admitting the prosecution has enough evidence to convict them in a jury trial. In Peterson’s case, accepting the Alford plea would mean freedom, but a tainted one — he would be guilty on paper and have a manslaughter conviction, a felony, on his record forever. As Peterson and his family grapple with this decision, the new episodes also explore the idea of tainted justice. There is Peterson, who struggles to reconcile his belief in his own innocence with the need to plead guilty. But there is also Kathleen’s family, her grieving sister and only daughter, who believe Peterson is responsible for Kathleen’s death and must reconcile with watching him walk free, even if he legally admits to the crime. There is no such thing as closure when a loved one is taken away suddenly, especially when questions that may never be answered are all that remain. The new episodes of “The Staircase” come at an interesting time, as America continues to grapple with questions of police brutality and a corrupt criminal justice system that extends far beyond the stories told in true crime documentaries. At the center of “The Staircase” is Peterson’s belief that he was never given a fair trial, that the system is one that cannot be trusted. And as the documentary shows, he’s not wrong in this belief, especially as many of the testimonies that helped convict him at the end of the earlier episodes are eventually proven to be fabricated or false. But the new episodes of “The Staircase” can also read as a cautionary tale, as our cultural obsession with true crime often leads to twisting narratives to suit a need to see a troubled figure exonerated, to find an incredible story of innocence, even in the face of overwhelming evidence, proven to be true. But Hollywood endings don’t happen in real life, and while there is no doubt that innocent men and women have been convicted of crimes they did not commit, there are also people who will take advantage of a lack of faith in the criminal justice system to suit their own needs. “The Staircase” encourages skepticism because it is needed on both sides of the narrative. Still, de Lestrade admits that while many of the questions about what happened on the night that Kathleen died will never be answered, he does not think Peterson is guilty. “We weren’t there that night so we can’t pretend we know what happened,” de Lestrade explained. “We may have an opinion or a feeling, but to me, there is no strong evidence presented that Michael Peterson killed his wife. That’s where I stand.” De Lestrade went into the documentary telling Peterson that he would consider him innocent until proven guilty, but there was never enough evidence to convince him otherwise. To de Lestrade, “The Staircase” has now finally come to an end, as the new episodes focus on the final chapter in Peterson’s saga to clear his name and bring an end to his legal battles. 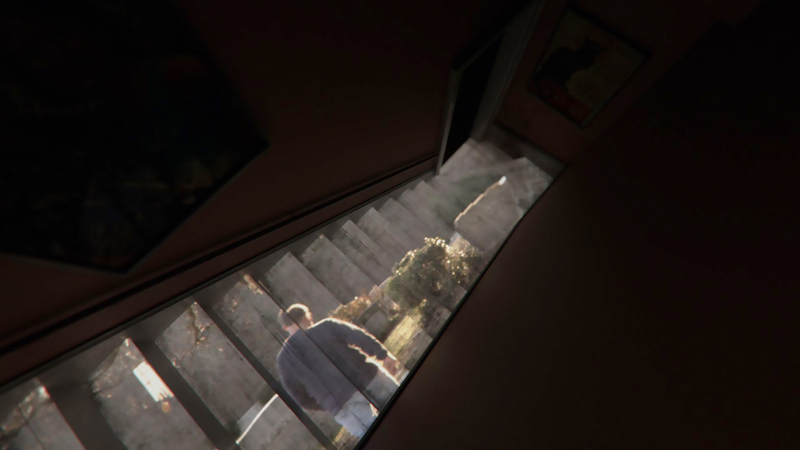 But, considering how many surprise twists Peterson’s story has had in the past, fans might not be surprised if “The Staircase” pops up once more with another incredible tale to tell. “The Staircase” returns Summer 2018 to Netflix.